Six years ago, 20-year-old Adam Lanza fatally shot 20 children, all under the age of eight, as well as several adults, at Sandy Hook Elementary School in Newtown, Connecticut. During her press briefing as White House press secretary, Sarah Huckabee Sanders was asked about what the administration was doing to combat gun violence. 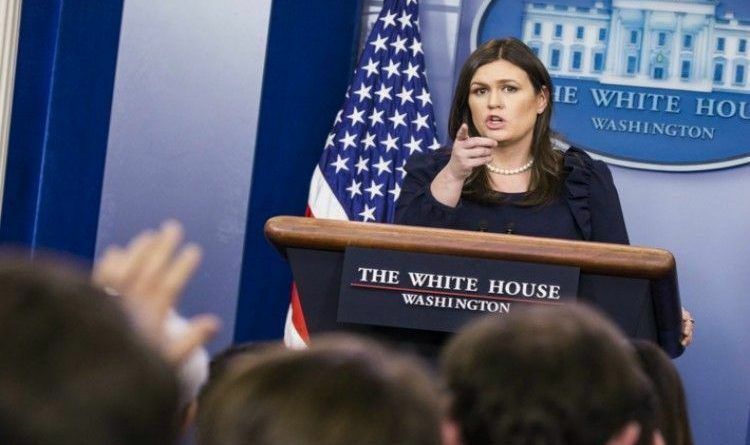 When a reporter asked what President Trump is doing to combat gun violence, Sarah Sanders flips the script! Watch the video below from 14 min.! Absolutely. I know that is something that the department of homeland security looks into and talks about, and works on every single day. I don’t think there is a person in this country that wouldn’t like us to find ways to protect people. And we are certainly very supportive of that. And that is something that would be. If you could name a single thing that would have prevented both of these, I would love to hear it because I don’t know what that would look like. But we are looking every single day at how you can protect American lives, how we can best protect American citizens. Liberal “solution” to gun violence: Disarm law-abiding Americans and create sanctuary cities for illegals. They know exactly what they want and multiple members of the Democrats and media have said it. A 100% gun ban and gun seizures! Once they get it, you can count on every single floodgate being opened from emptying prisons into the populace and uncontrolled migration to literally destroy the US society. They THINK they will be rewarded with dictatorial powers in the aftermath and not be touched in their gated communities. They THINK its only the “flyover” states that will pay for it all. It doesn’t matter who is, President Obama, President Trump, or whatever president… they can’t stop gun violence! American people need to act civilized, the American people are the only ones can stop gun violence! I’m personally thankful for the Second Amendment. ← Sarah Sanders Posts Picture With Actor Rob Lowe… Brace Yourselves, The Whiny Liberals Are Coming!